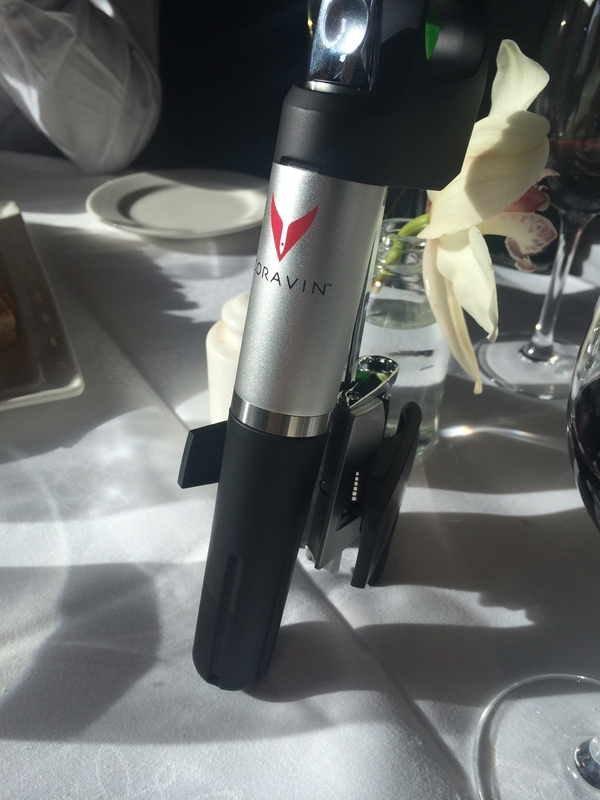 Coravin, the ingenious wine access system, was launched in Ireland last week. Eh – don’t we already have a wine access system I hear you cry – isn’t that what a corkscrew is for? Well…yes…and, in fairness, the good ol’ corkscrew seems to work well. But what happens if you only want one glass of wine? No…seriously…this has been known to happen to people on occasion. If you are like me, you probably either engage in semi-pointless pumping with a Vacuvin closure, or drink more than you should, because damned if you’re pouring the leftovers down the drain! Both are pretty undesirable to be honest, and unless I know I’m going to finish the bottle in one sitting, I tend to just open something cheap and cheerful. 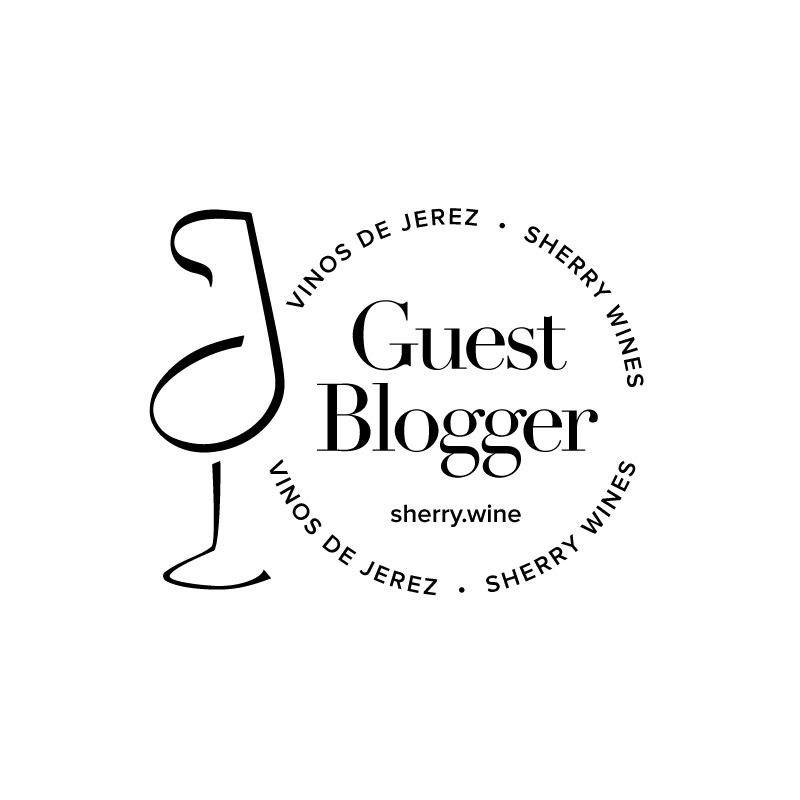 Wouldn’t it be great to be able to remove a glass or two of wine from a bottle without removing the cork and without exposing the remaining wine in the bottle to air, causing oxidation? Thankfully, that’s the exact problem that Coravin inventor Greg Lambrecht sought to address, and he was in Dublin last week to show us how he did it. If the problem which spawned Coravin is simple, the solution developed to address it is most certainly not. Greg’s background is in medical device technologies, so it’s no surprise that he leveraged his expertise to develop a device that’s as slick as it is functional. Firstly, a thin single lumen teflon coated needle is used to pierce through the cork. The bottle is then pressurised with argon gas from a canister stored in the base of the Coravin 1000 device. With the argon gas entering the bottle, the wine is expelled under pressure back through the needle and out into your wine glass. Once the needle comes out of contact with the wine the flow of liquid stops. The needle is then removed from the cork, and the hole reseals within a minute or two due to the elasticity of the cork. Having experimented with other gases, Greg decided that argon was best suited for this application. Argon is an inert gas and won’t react with the wine, but most crucially it’s heavier than oxygen so ensures that any air remaining in the bottle does not spoil the wine, and the accessed bottle can be stored for months and even years to come. Will people use Coravin at home? The benefits of the device for restaurants and bars are pretty clear – better quality wines offered by the glass. But what is the value for the home user? The Coravin 1000 retails in Ireland for €299.99 and a pair of replacement of argon canisters costs €19.95. In ‘by the glass’ terms, and ignoring the initial outlay, that works out at approximately 66c per glass. Wine often shows best with food. Sometimes what I’ve opened one evening doesn’t really suit the meal the next day though, or I want to mix and match different wines over the course of an evening. 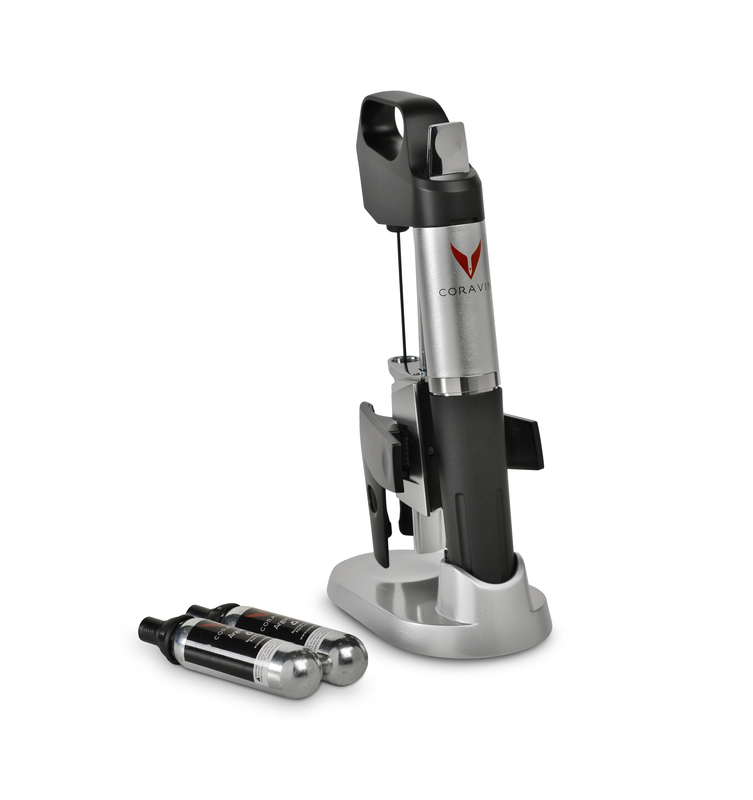 The Coravin 1000 will allow me to access several different bottles over an evening or weekend, although I must admit that I really can’t see myself accessing more than about 250ml or 300ml with further short term storage before pulling the cork on each bottle. Coravin facilitates economical winegeekery. And that should be welcomed with open arms. That vertical of Tenuta di Valgiano that I’ve been stashing away will now be a bit easier on both the wallet and the liver. Or I can do it several times over! If I want to explore different site characteristics in a particular region, accessing samples from 10 different bottles won’t cost an arm and a leg anymore either. Sacrificing bottles in the interests of assessing maturity is infuriating, particularly if you, like me, never buy more than six bottles of anything and usually no more than two or three. If the wine is age-worthy, consigning some bottles to experimental infanticide is an inevitable, but necessary, evil. Coravin immediately addresses this need for me as I’ll be able to periodically access bottles of Barolo, Barbaresco, Brunello and ‘the like’ to remove small tasting samples and track when a wine is nearing its peak. My best laid plans assume the system passes ‘the Ronseal test’ of course. Greg and his team have held blind tastings to verify the efficacy of the system, and the results seem impressive so far. Bottles accessed and tasted at the Irish launch last week will be revisited in 3 months time to track any changes. The Coravin 1000 is distributed in Ireland by Findlater Wine and Spirit Group and is currently available for purchase at O’Brien’s stores in The Beacon, Donnybrook, Carrickmines, Cork, Limerick and Galway, as well as Redmond’s of Ranelagh and Jus du Vin in Portmarnock. Disclosure : Findlater Wine and Spirit Group are very kindly giving me a Coravin device for use at home. I’ll be road testing it over the coming months.